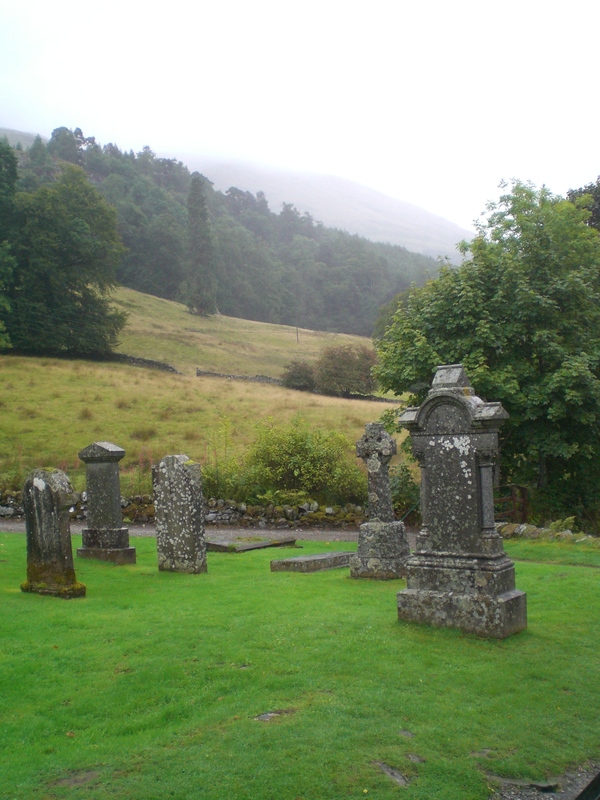 Oftentimes people will talk of “hunting a wild haggis” in the Scottish countryside. They may also talk of “bagging a Munro”. The second statement has a lot more believability than the first. Named after Sir Hugh Munro, 4th Baronet (1856-1919), a Munro is a peak in Scotland with a summit that is 3000 feet (914.4 meters) or higher. In 1891, Sir Hugh published Munros Tables which listed all such peaks, with a total of 538. The term “Munro” was reserved for the 282 summits that were considered as separate mountains. The remaining summits were designated as “tops”. The tables were published by the Scottish Mountaineering Club, of which Munro was a founding member. In 2012, the Club published a revised list of the Tables that name 282 Munros and 227 “subsidiary tops”. To “bag a Munro” is to climb to its peak. Summits that are 2500-3000 feet (762-914 meters) are classified as Corbetts, after John Rooke Corbett. In 1930, he became the first person to climb all of the 2000 foot high peaks in Scotland. The Grahams have summits that are 2000-2500 feet (610-762 meters), and have been named for Fiona Torbet (nee Graham) who published a list of peaks in the early 1990’s. 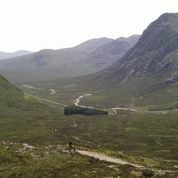 The Corbetts and the Grahams must have a prominent peak of at least 500 feet (152 meters). The most famous of the Munros is Ben Nevis, in Scots Gaelic (Gàidhlig), Beinn Nibheis. 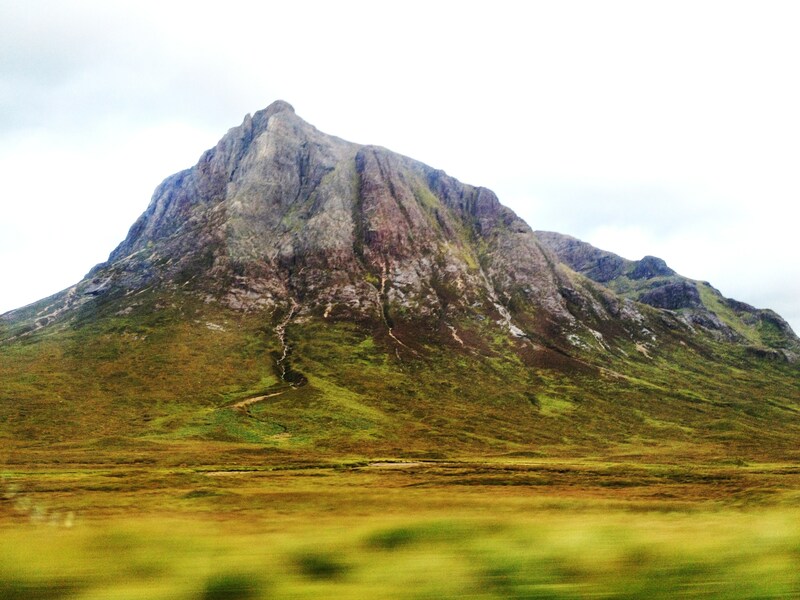 At 4409 feet, is the highest peak in the British Isles. Beinn means “mountain” and Nibheis means “malicious” which probably refers to the consistent storms that occur at the top, or to the fact that Ben Nevis is a collapsed volcano; alternately, Beinn Nibheis may come from the phrase beinn nèamh-bhathais, “the mountain with its head in the clouds”. 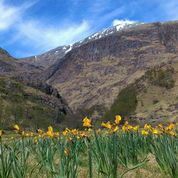 Located in the Lochaber area near Fort William, Ben Nevis inspired the poet John Keats to write both “Sonnet. Written Upon The Top Of Ben Nevis” and “Ben Nevis: A Dialogue Poem”. The most northerly Munro is in Sutherland. At 3041 feet (927 meters), Ben Hope (Beinn Hòb) stands at the south-eastern edge of Loch Hope and rises above the surrounding moors, a very craggy and impressive sight. The most easterly Munro is in the Grampian mountain region in Aberdeenshire. Mount Keen (Monadh Caoin, “beautiful hill”) at 3081 feet (939 meters) is a domed shaped solitary hill with an easy access route. The most westerly Munro on the Scottish mainland is in the Knoydart region of the Highlands; Ladhar Bheinn (“hill of the hoof”) stands 3350 feet (1020 meters). The most southerly of the Munros is Ben Lomond (Beinn Laomainn, “Beacon Mountain”) on the eastern side of Loch Lomond, the largest of the Scottish lochs. Located in the Loch Lomond and the Trossachs National Park, Ben Lomond is 3196 feet (974 meters) high and is one of the most-climbed Munros. It is, of course, referenced in the popular Scottish folk ballad, “The Bonnie Banks o’ Loch Lomond” (1841). Due to the popularity of photographing it, Buachaille Etive Mòr (Buachaille Eite Mòr “the great herdsman of Etive”) is also one of the most easily recognized Munros. When driving along the A82, it’s craggy pyramid stands 3350 feet (1021 meters) at the head of Glen Etive (Gleann Èite; Èite: “little ugly one” refers to a goddess that lives in Loch Etive). Five miles (8 km) in length, the ridge of Buachaille Etive Mòr has four “tops” of which Stob Dearg, at 3353 feet (1022 meters) and Stob na Bròige at 3136 feet (956 meters) are Munros as well. A little further to the west of the Buachaille stands Bidean nam Bian (“peak of the mountains“) on the western end of Glen Coe. Also known as the “Three Sisters”, the ridges of Bidean nam Bian are Gearr Aonach (Short Ridge), Aonach Dubh (Black Ridge), and Beinn Fhada (Long Hill). And just a little further west, south of the town of Ballachulish (Baile a’ Chaolais,”town on the narrows”) are two more Munros: Sgorr Dhearg (“red peak”) and Sgorr Dhonuill (“peak of the Donalds”). Both of these Munros are part of Beinn a’ Bheithir (“Mountain of the Thunderbolt” or “the peak of the serpent”, referring to a dragon that once lived in the side of the hills). Standing at the center of Scotland is Schiehallion at 3553 feet (1083 meters), Sìdh Chailleann in Gàidhlig, is the “Fairy Hill of the Caledonians”. The midpoint of the lines of latitude and longitude for the Scottish mainland intersect very near to the summit of Schiehallion. 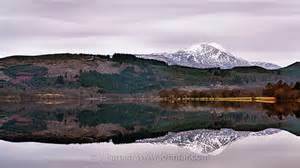 In 1774, Schiehallion was selected for a ground-breaking (pardon the pun) experiment to estimate the earth’s mass. I have been fortunate to have seen the aforementioned Munros more than once, and am taken in by the beauty of them every time. On this next trip in September, I will be able to enjoy seeing the Munros that are on the Isle of Skye (An t-Eilean Sgitheanach “the Isle of Skye” or Eilean a’ Cheò: “the island of the mist”). The Cuillin (An Cuilthionn or An Cuiltheannon) is a range of rocky mountains located in the southern part of the Isle. The true Cuillin, also known as the Black Cuillin, has twelve Munros in its range, the highest of which is the highest point of both the Cuillin and of the Isle of Skye: Sgùrr Alasdair (“Alexander’s Peak”) stands at 3255 feet (992 meters). The Red Cuilin (na Beanntan Dearga, “the Red Hills”) on Skye across Glen Sligachan (“the shelly place”) are lower and less rocky. The most westerly Munro in all of Scotland is Sgurr na Banachdich (“rocky peak of the milkmaid”) is located in the Black Cuillin and stands 3166 feet (965 meters). 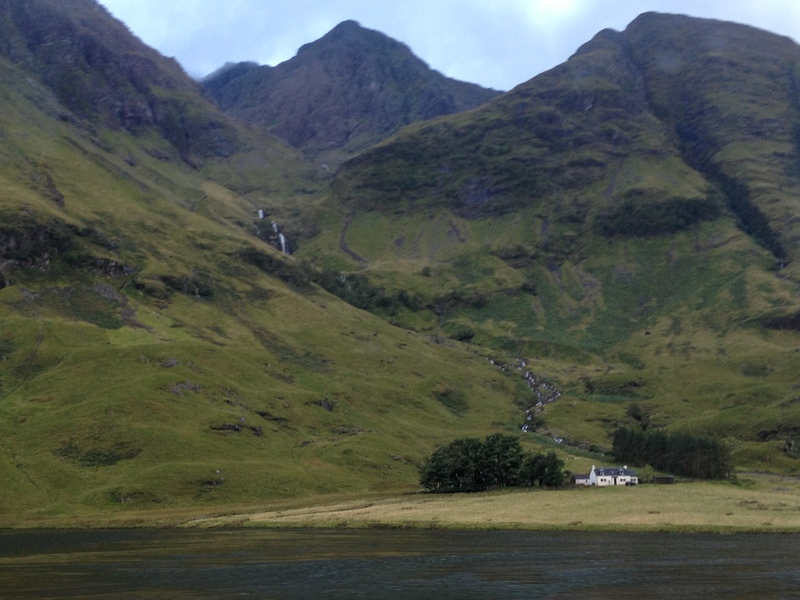 This entry was posted in Ancestry, Eco-travel, Ecology, Land trust, Scotland, Scottish ancestry, Travel, Uncategorized and tagged Munros, Scotland, self-drive Scottish tour. Bookmark the permalink.